I’ve written all about the marvelous spots available for traveling on San Cristobal Island itself in my post entitled San Cristobal Island Visitor Sites. Among them are the main town of Puerto Baquerizo Moreno, La Loberia, The Interpretation Center, Frigatebird Hill, Darwin Bay, La Galapaguera, El Junco and San Joaquin Hill, Puerto Chino, Mann Beach, Punta Carola Beach (sometimes called Cape Horn Beach) and Colorado Hill Lookout. 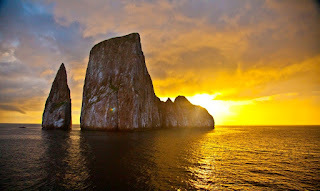 You can learn all about these sites by visiting my earlier post and also on the website for the Galapagos Eco-Lodge. While the sites on the island itself are all treasures, the beauty and magic of what lies a short boat ride from the harbor is truly dazzling. 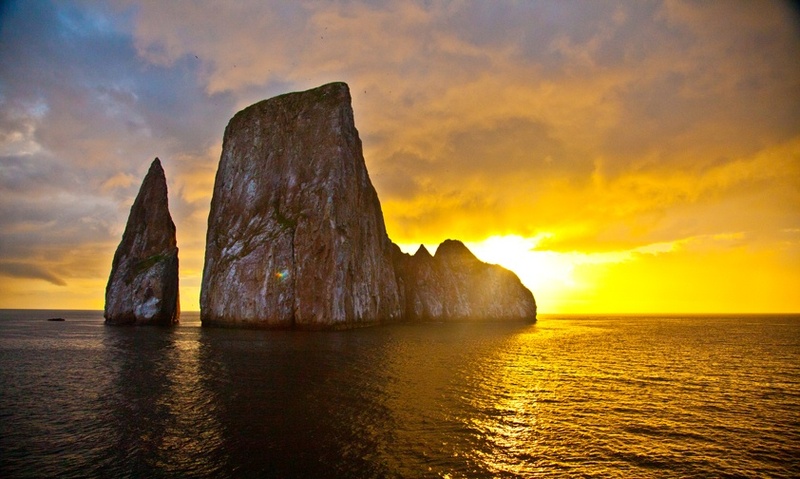 The first of these sites, and truly an iconic place in all of the Galapagos Islands, is Kicker Rock, sometimes called Leon Dormido. This is such a spectacular location, breathtaking at any time of day, that it warrants an entire post of its own, Kicker Rock. 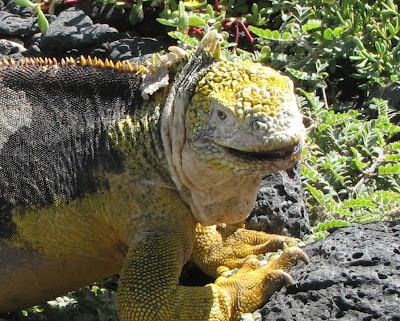 Espanola Island, the southernmost and one of the oldest islands in the archipelago, is a treat waiting to be discovered by every Galapagos Island visitor. If possible, there is too much beauty, uniqueness and wonder to conceive of in one small place. At Punta Suarez, you have a dry landing – but a very careful one on a rocky ledge – and be sure not to step on the Sea Lions! You will walk up a trail, through some fascinating flora and fauna and many little lava lizards before arriving at your ultimate destination – the top of a cliff populated by Blue Footed Boobies and Waved Albatross. Espanola Island is the home to several spectacular visitor sites, one of which is the exquisite white sand beach at Gardner Bay. It's a beach perfect for walking and watching the frolicking and resting sea lions, hundreds of which may be seen here at any given time. To me, this is always a special place. Always, loud guttural barking is a first indication that we have arrived at Espanola Island’s beautiful Gardner Bay. Be prepared for the amazing welcoming committee made of literally hundreds of sea lions lazing on the beach, playing in the surf and soaking up the sun. 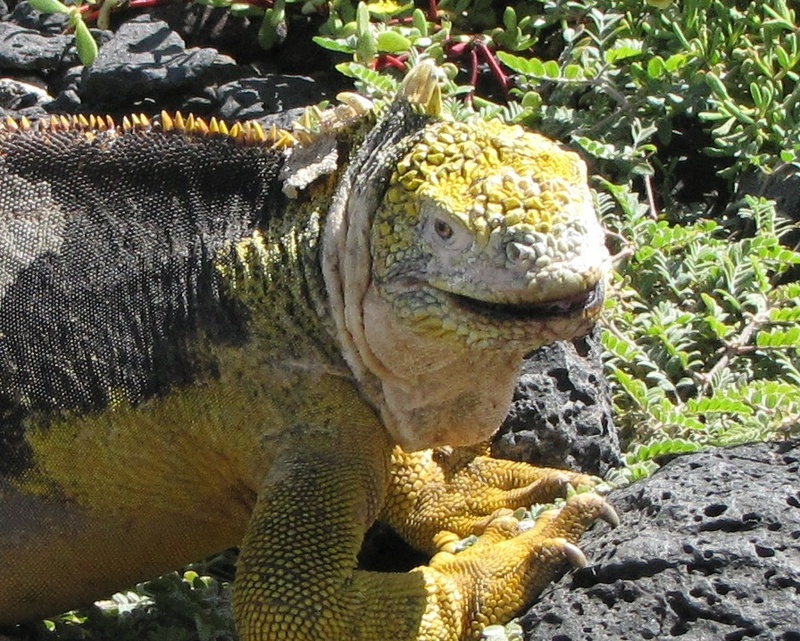 If you love exploration, respect the environment, want to share in the conservation of the paradise we call the Galapagos Islands and yearn to experience first hand the miracles that Charles Darwin brought to the world, then the Galapagos Eco-Lodge is the place to begin your visit to the Galapagos Islands. My idea to build an environmentally sustainable "green" hotel began many years ago and has finally come to fruition. It is my great pleasure to share the experience of how the hotel came to be built and the principles of preservation that motivated me with you. 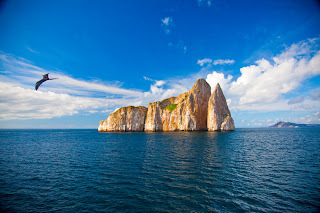 The hotel is the embodiment of my belief that every traveler to the Galapagos Islands should have the opportunity to live for a little while within our culture while exploring all the natural beauty of our National Park and Marine Reserve. In this way, your travel and adventure will be enhanced as those of us who live in this paradise can share our knowledge and viewpoints with you.